For a much more in-depth look at this the topic, watch the complete video here. Movement is afoot between Wall Street and the business community. The Sustainable Development Goals (SDGs) that have spawned a whole new sense of business renewal and focus on taking responsibility for our global issues as a society is creating a new ecosystem between businesses, society and Wall Street. As Mr. Fink so eloquently articulates, "If a company doesn't engage with the community and have a sense of purpose it will ultimately lose the license to operate from key stakeholders." Mr. Fink's complete letter to CEOs can be found here. 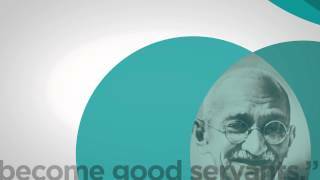 At Conscious Capitalism, we focus on purpose and stakeholders as two of the four key elements for success. Join our cause and mission! Culture is at the heart of many great companies. It’s more enduring than strategy, and often makes the difference between a strategy’s success or failure. That message was reinforced by the two speakers at our most recent Conscious Conversation, Managing Culture Intentionally, on September 12, 2017, held in conjunction with our great partner, ImpactHub Boston. Greg Kunkel, SVP and Co-Founder of Next Jump, and John Pepper, Founder and CEO of Boloco, both told stories of how they came to discover that culture is the most important determinant of their companies’ success. Through a discussion moderated by Colleen Brisport, independent business and human rights advisor, we learned that crafting culture is a long and arduous process of communication and empowerment. The 50 participants each had something to say, as well. We broke into four groups and let the conversation flow. Ideas surfaced for influencing culture, but so did frustrations. Communications is important, for example, but are people listening? Giving feedback is empowering, but how it’s delivered and received makes a big difference. Leaders stress culture but they must walk the talk. There are no easy answers to addressing culture, but the imperative to try new things came across strongly. Indeed, a strong validation came from several participants who told us they heard new ideas that they would try to implement. That’s what our conscious conversations are all about. 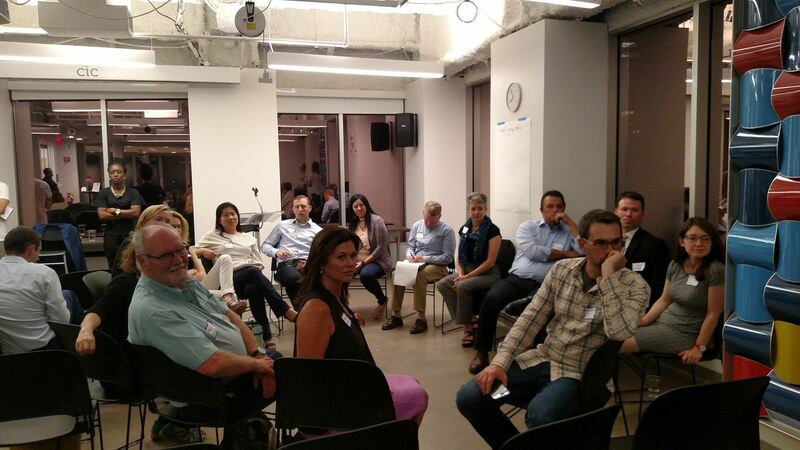 Conscious Capitalism Boston is launching a new monthly roundtable program with community-led discussions of topics related to Conscious Capitalism. The Roundtables will be small, informal gatherings of community members to learn about and discuss a specific topic. 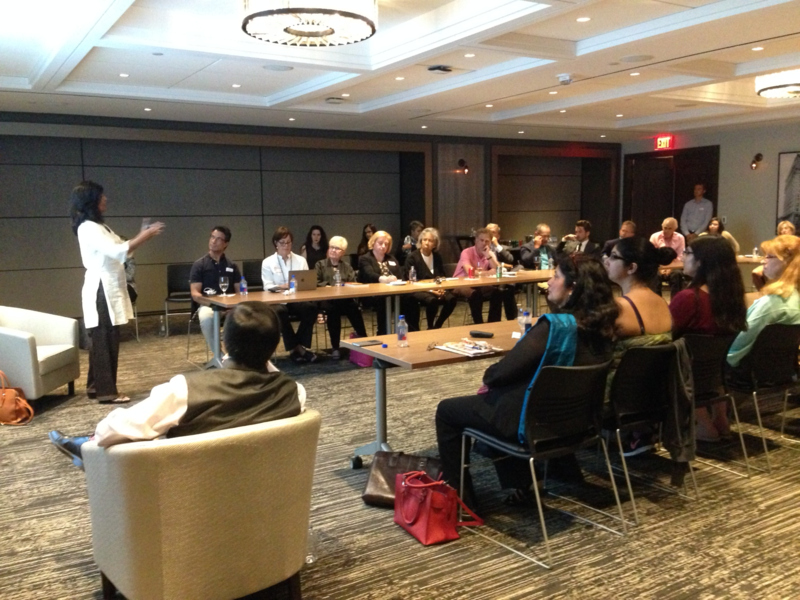 We can provide a conference room in Boston or Cambridge for the Roundtable although we are open to alternate venues. Each Roundtable will have a leader who shares a brief (< 15 minute) presentation then leads a discussion (<30 minutes) among attendees. Participants will be encouraged to continue the conversation following the formal program at a local restaurant or bar. Anyone can submit an application. Preference will be given to CCB members. We'll get back to you within one month as we plan out our calendar. Any questions, please contact Mary Adams adams@smarter-companies.com, 781-729-9650. Bob Scoville, President of Performance Talks, Inc. The speakers provided great insights on leadership based on their own experiences, particularly the importance of trust and engagement with key stakeholders. Those stakeholders can include employees, customers, investors, vendors, the community, and the environment. A very interesting line of conversation was around the important distinction between “transactional trust,” which is necessary for every relationship, and “relational trust,” which is desirable for productive relationships. As Andy Atkins explained, trust is foundational to a leader's ability to influence stakeholders, and highly-trusted leaders outperform untrusted ones. When talking about employees, Megan Driscoll noted the importance of evaluating potential hires on more than just their qualifications for the role. Think about whether you would have a beer and burger with them, because you are entering a committed relationship – from on-boarding to off-boarding. Hire likeminded people that you want to work with, because the more you invest in your relationship with them, the more it will pay off for your business. Angela Cavallaro echoed this perspective, noting the character is a key component of a good employee relationship and hiring just for skills will not build a high trust organization. The panelists’ stories served as food for thought to stimulate small group conversations about leadership challenges for conscious businesses. Within these focused discussions, participants shared personal experiences, coaching one another on approaches and solutions. What do you think are the components of an effective conscious leader? Did you gain new insights by participating in the June 22 event? Let us know if you were inspired to drive change in yourself or your organization by continuing the conversation in our community forum. An organization’s purpose is a “definitive statement about the difference you are trying to make” (according to the Purpose Institute). It goes by other names, such as a “North Star” or “commander’s intent,” depending on the context. But its role is the same: to orient everyone within an organization and keep everyone moving in the same direction. It’s a soft characteristic that leads to hard results. When it’s driven through an organization, and not just a plaque on the wall, purpose has a meaningful impact on organizational performance. In one study, EY found that companies that failed to drive purpose through their organizations were less likely to be growing. And the companies most effective at implementing purpose were more likely to be launching new products or expanding their markets. How exactly does purpose make such a big difference? 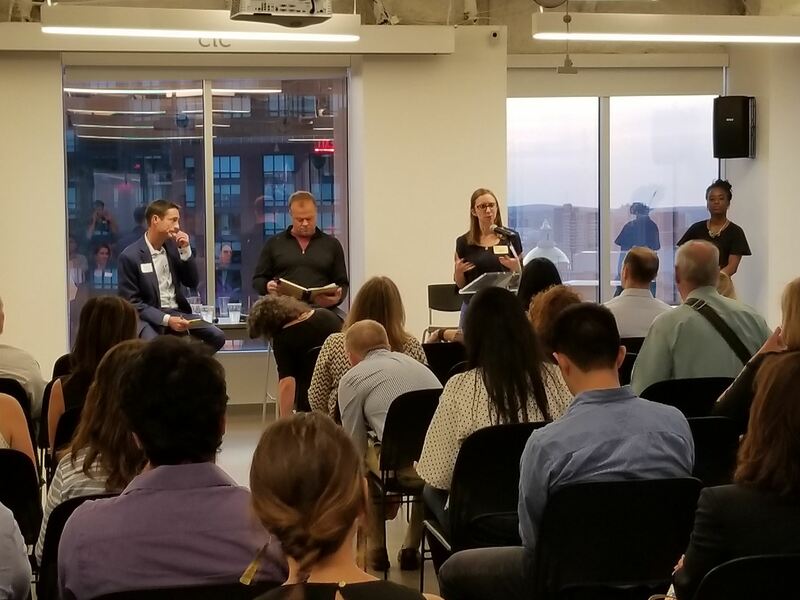 To dig a little deeper, we held an event on March 21, 2017, called A Conscious Conversation – about Purpose, with our partners at ImpactHub Boston. Larry Yu, Managing Director of Kite Global Advisors moderated a panel consisting of Ed Manzi, CEO of Fidelity Bank, Jackie Herskovitz Russell, President of Teak Media + Communication, Ellen Fitzgerald, Co-Founder of Mother Juice. 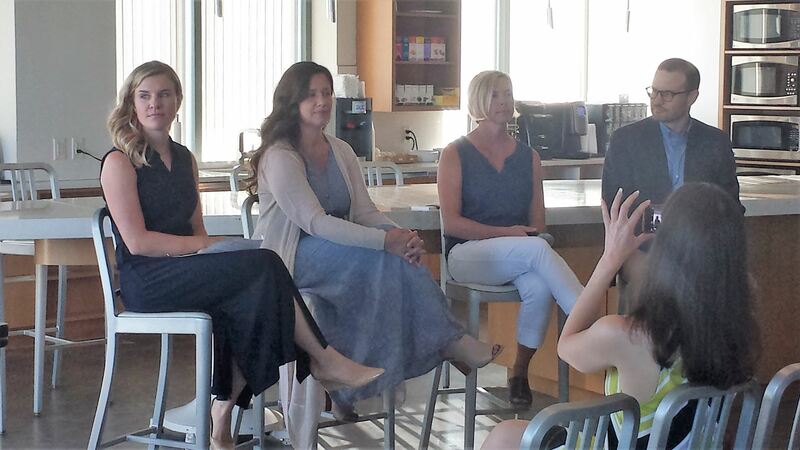 The panelists came from different industries and are at different stages of their organization’s growth. Yet their perspectives shared a common thread about the importance of purpose – and how it influences their decision-making, corporate cultures and employees’ behaviors. Our event’s purpose, however, was to spur conversations about purpose. So we broke our 48 attendees into five groups to have their own conversations about organizational purpose. The conversations were rich; each group had its own spin, from the challenges of implementing purpose, to the benefits of purpose for organizations and what individuals get from an organizational purpose. All this speaks to the pent-up demand for conversations about how more businesses can become conscious business. One participant reported online about the “tremendous conversation and spirit in the room.” We hope to keep tapping that spirit in future conscious conversations. Audience: business leaders, investors and connected to Conscious Capitalism Chapters Globally. What are the Benefits of Radio Entrepreneurs Appearance? 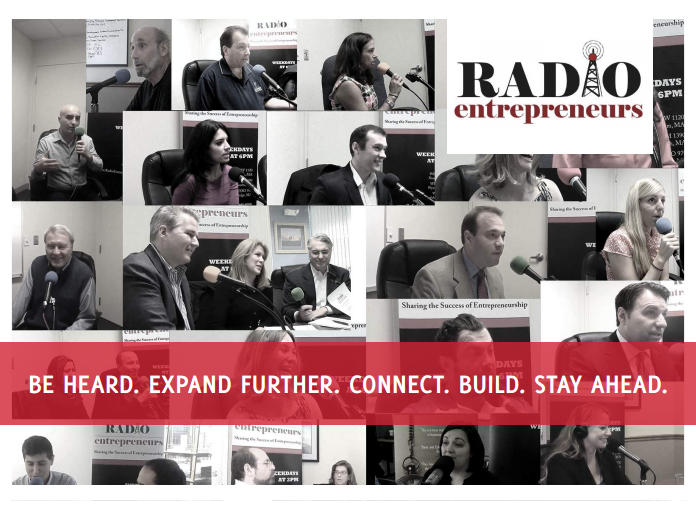 "I was a guest on Radio Entrepreneurs in July 2013. As the owner of a public relations firm, I understand full well the value of positive media exposure. Steven Shaer and Jeff Davis provided precisely that opportunity for me. In the months since then, they have encouraged me to provide an ongoing series of guests for their show, and my clients have all benefitted greatly from the exposure. Radio Entrepreneurs provides a strong and solid value for business owners. I would recommend the opportunity for all". "What a fantastic opportunity to discuss emerging talent, trends, ideas and all other things relating to entrepreneurship...this is an extremely effective resource for those individuals either starting out in business or who may be in more mature stages...nothing else compares to in in the Boston area!" We have been awarded a great 15% discount off registration for the fabulous Sustainatopia Conference, Boston 10/9-12. Some of our members are already speaking, Lori Hanau, Brad Peirce, Jackie Herskovitz and other great presenters will be there from the Sustainable Business World and it would be great if you schedule permits to attend as well. Please use the discount code CC15 and sign up today! SUSTAINATOPIA is one of the largest & longest-running event series for sustainability and impact professionals. More than 500 will participate from around the country, including close to 50 Fortune 500s (and companies of all sizes). Also major investors, foundations, non profits, social entrepreneurs, government and media are a significant part of the conference ecosystem. But this discount is available for a limited time only- do order your tickets now! See you at SUSTAINATOPIA (BOSTON)! 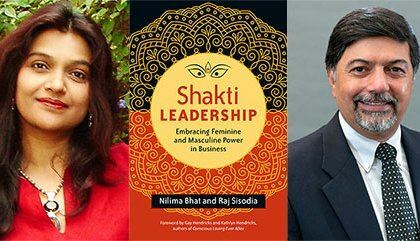 We were honored to have Raj Sisodia and Nilima Bhat join us to talk about their new book Shakti Leadership. 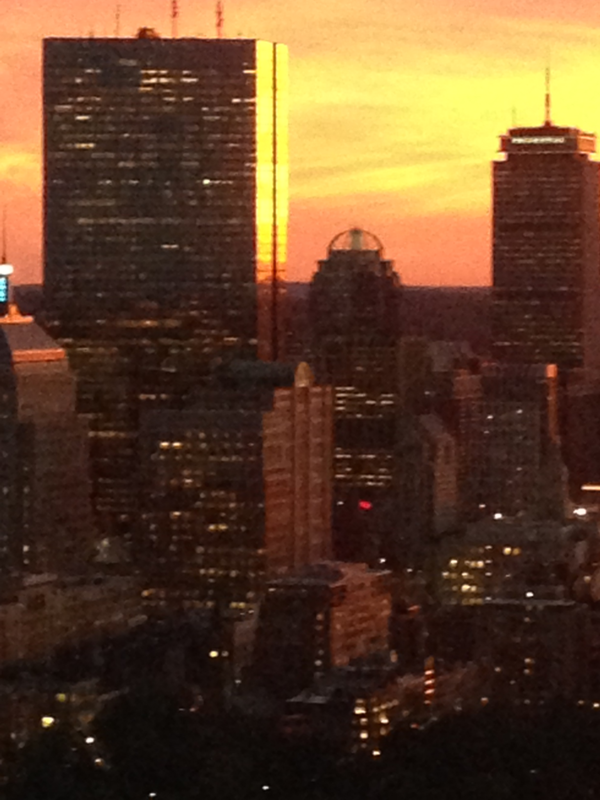 The venue was the UMass Club in downtown Boston and we were blessed with an amazing sunset. 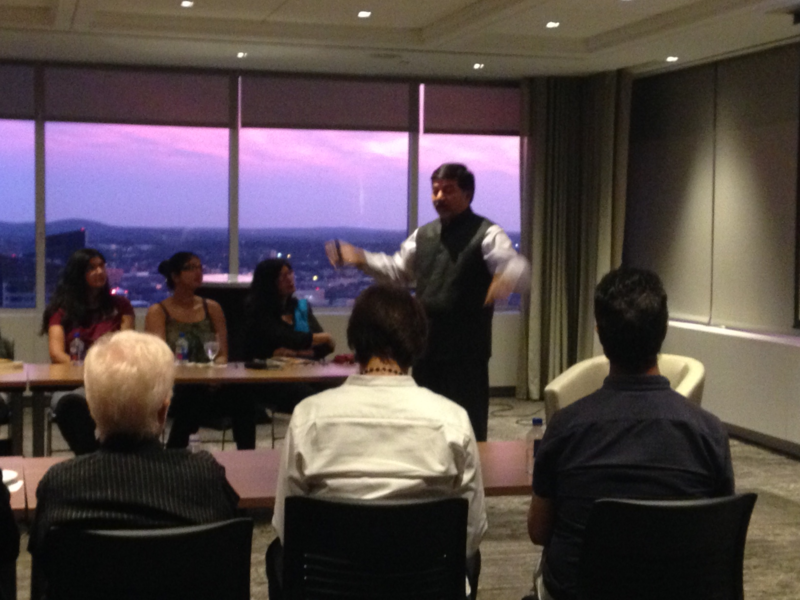 Raj opened up the program outlining the principles of Conscious Capitalism and introducing Shakti Leadership. Then Nilima talked more in depth about Shakti and led the audience in a short mindfulness exercise. Conscious Capitalism Boston recently co-sponsored an event with WISE called Innovation and Impact in Sustainable Fashion, Supply Chains and EcoCouture. From the runway to your local H&M in weeks, we are living in an age of fast fashion. Clothes are made quickly and cheaply in factories around the globe at an unprecedented pace. What are large retailers doing to ensure sustainable sourcing practices, fair labor conditions, and environmental best practices in their supply chain? As investors and as conscious consumers, how can we make informed decisions about the fashion industry? We hope this is the first of many collaborations!